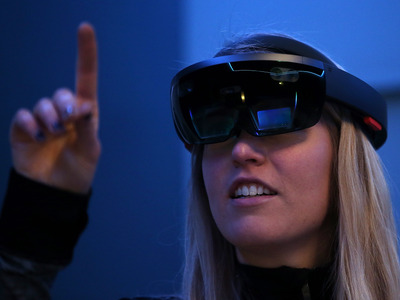 GettyMicrosoft is one of the many companies working on augmented reality tech with its HoloLens headset. 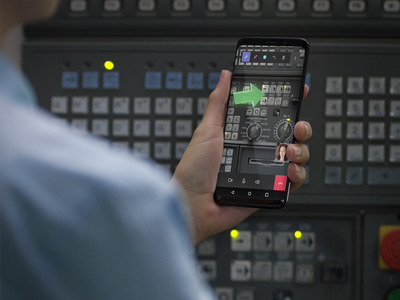 Microsoft‘s new mixed reality applications help front line workers collaborate remotely and help buyers visualise products they want to buy with different colours or enhancements. Microsoft‘s new artificial intelligence products help with automation, reducing fraud, and providing customer insights. Mixed reality is similar to virtual reality, in that it allows you to view 3D computer-generated images. The difference is that users can use a device, like Microsoft’s own HoloLens headset, or even a smartphone camera, to see and interact with these digital objects in the real world. One of Microsoft‘s new mixed reality applications is called Remote Assist, which allows technicians to use their smartphone or PC to remotely dial in to a HoloLens headset and see what the wearer sees. The viewer can overlay arrows or even scribbles to call the remote worker’s attention to something. The other new tool is Product Visualise, which allows sellers, especially those in manufacturing, healthcare, and automotive, to showcase and customise their products. For example, a car salesperson can show a customer a car and display different features and colours in real-time, helping them visualise their purchase. “These are really designed to help sales, remote workers, and people doing retail or space planning to bring that digital environment in with how their organisation operates,” Taylor said. Microsoft itself has already started using its mixed reality applications to design its flagship stores’ floor plans and analyse customers’ foot traffic. Companies are already using Microsoft’s mixed reality technology in their business. 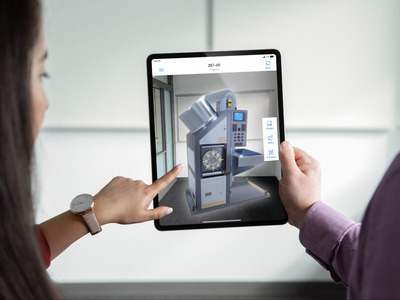 Toyota has started using the tech to figure out where to safely lay out equipment on the manufacturing floor, and to create augmented reality training programs. Chevron has also been using the app to survey oil rigs and pinpoint problems to communicate back to its headquarters. This can reduce costs and safety risks. Microsoft‘s new AI applications are part of a line of Dynamics 365 AI applications that were first announced in the fall, which will help customers to automate customer service, detect fraud, and other aspects of their business. Microsoft has been investing in its AI technology and making acquisitions to supplement it, such as its planned acquisition of XOXCO.